Save the dates! 5 February, 2020 (arrive evening) – 12 February 2020 (depart after breakfast). Anger is a powerful emotion. Can you imagine the power of transforming it? The OWLs Programme is an ongoing cycle of retreats in learning and facilitating Nonviolent Communication. 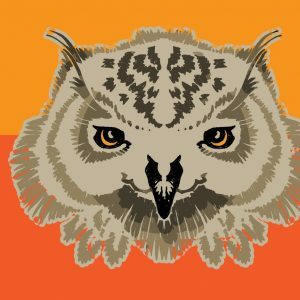 This OWL2: Transforming Anger is designed for practising skills learned in your OWL1, plus developing further understanding and skills in the area of anger. (The other OWL2s we offer are in the areas of empathy and conflict). Learn how to express anger fully without blame, attack or threat. Learn how to receive anger in ways that increase safety, respect and understanding. Clarify your feelings and needs in challenging situations. Extend skills and understanding with the ‘Anger, Guilt, Shame and Depression’ Dance Floor. The NVC Dance Floors are spatial maps of the NVC process which we lay on the floor and walk through – hence dance floors. More information on the NVC Dance Floors. As this is an OWL2 retreat, we ask that you have already completed an OWL1 or equivalent multi-day residential NVC event. Please read Marshall Rosenberg’s book, Nonviolent Communication: A Language of Life if you haven’t already, or take a refresher with one of the videos on our Training Preparation page. You might also value our series of NVC Life Hacks on YouTube. Dates: 5 February, 2020 (arrive evening) – 12 February 2020 (depart after breakfast). Shantigarbha and Gesine Schrader, certified with the Center for Nonviolent Communication. Find out more about us. Sign up for our monthly Tips and Clips mailout on the right-hand side of this page, or Contact us.